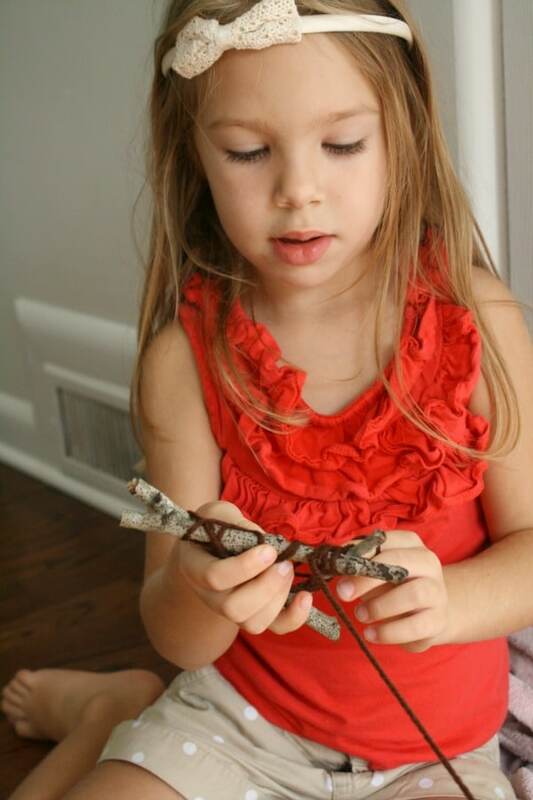 Yarn-wrapped crafts are simple enough for kids of all ages, and we love how they turn out. There’s no “right” way to make them. 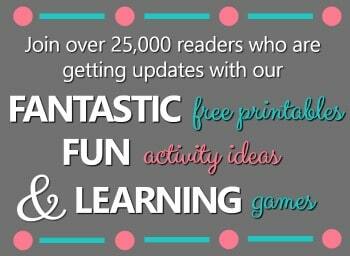 Simply wrap and wrap until you’re pleased with the result. 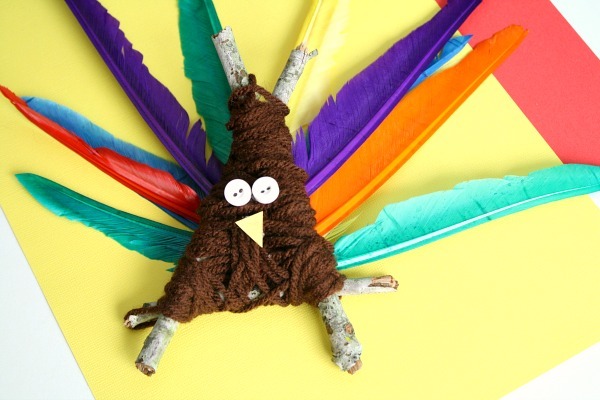 That’s what we did with this adorable turkey Thanksgiving craft. 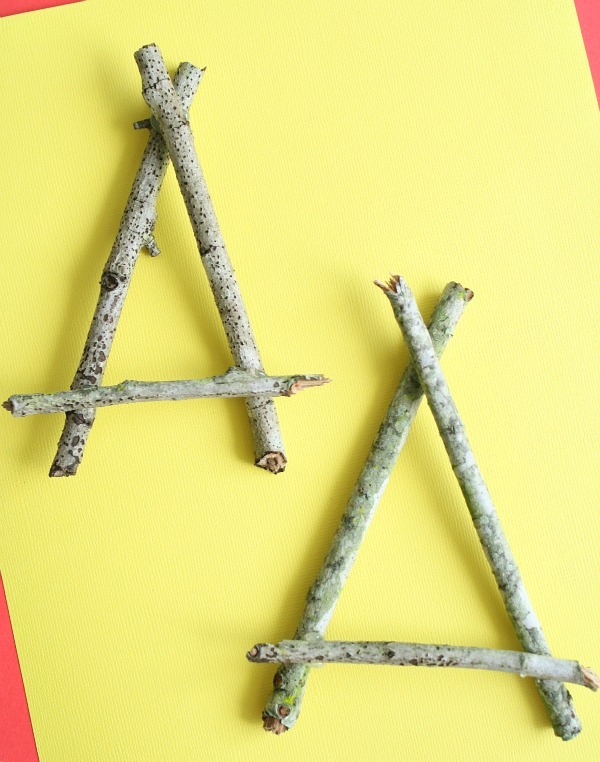 Start by using the hot glue gun to make a triangle shape with the twigs. Leave ends hanging out. Tie the yarn to one corner of the triangle. Then let kids get started wrapping the yarn to form the turkey body. Once kids are done wrapping the yarn tie the end and tuck it into the back of the turkey. 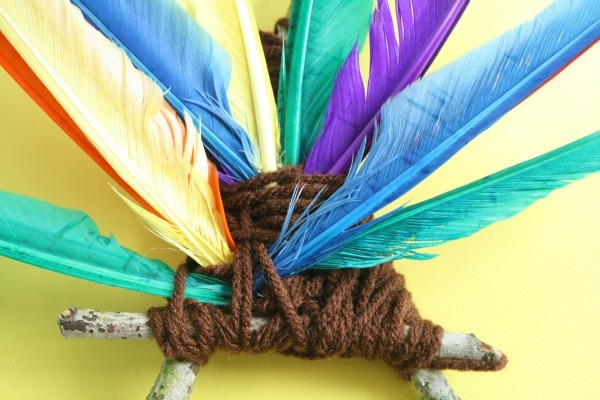 Then let kids push feathers into the yarn on the back of the turkey. They should stay snug in place. Finish up by gluing on the beak and the eyes. 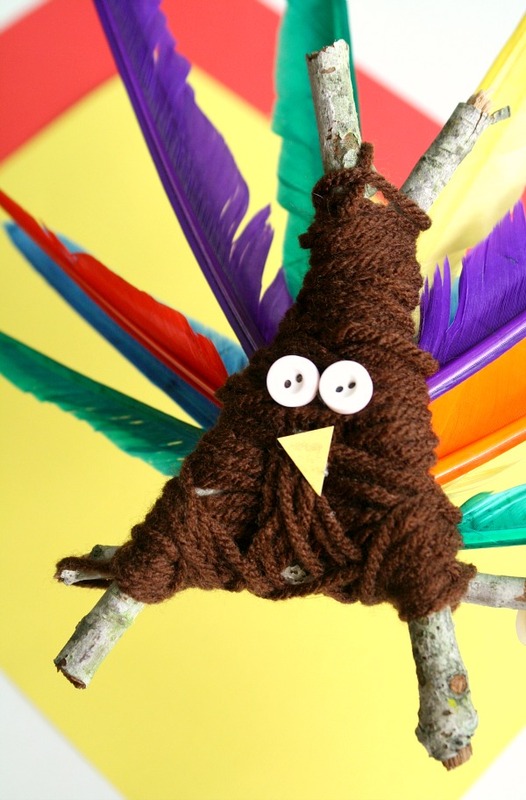 These cute little turkeys can be used as a craft to hang on the wall by adding a loop of yarn to the top. 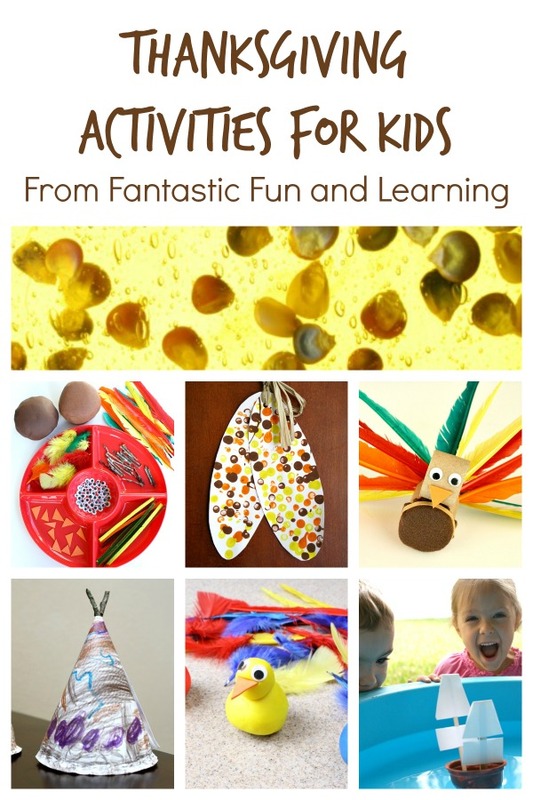 They could also be used as turkey puppets for pretend play or storytelling. 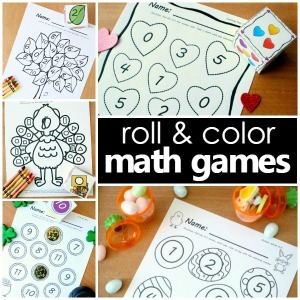 Still another idea is to use them as Thanksgiving place cards. 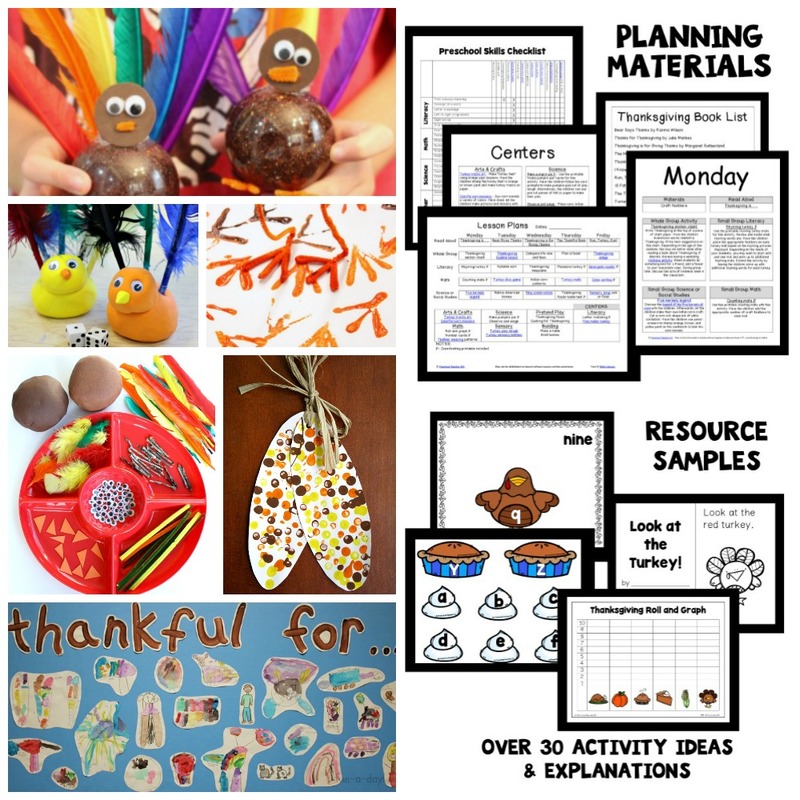 Whatever you use them for, we hope you have as much fun as we did making your turkeys together.